Each team member should have clearly defined responsibilities, both individually and collaboratively. When teams are assembled, selecting those with skills and styles that complement each other will garner better results, both professionally and personally. Not only is it important to have defined roles, it is equally important to have full visibility on projects. This way, if someone is out sick or on vacation, with proper crossover, projects can continue to move forward seamlessly. A shared vision gives members something to believe in. It helps create accountability, commitment, and the desire to deliver. It also aids leadership by bringing teammates together, inspire them, and ensure that everyone stays focused on the tasks at hand and the mission driving them. Microsoft: Empower people through great software anytime, anyplace, and on any device. Amazon.com: To be earth’s most customer-centric company; to build a place where people can come to find and discover anything they might want to buy online. Zappos.com: Delivering happiness to customers, employees, and vendors. It is essential for teams to create a climate—or working environment—in which members have mutual respect. They need to feel comfortable being candid and keep their criticism constructive. Most important, every team member needs to feel appreciated for what he or she does. Try to keep judgement at bay, celebrate wins, keep it light hearted and spread happiness. Positivity is just as contagious as negativity. In sports, you often hear the terms “on fire” or “in the zone.” In team dynamics, having a perfect “flow” describes when a team is working at its best. They work quickly, nimbly, and in harmony. Generally, if you nail your process, your focus, and your climate, flow will follow. So, if your team isn’t firing on all cylinders, and you’re not exactly sure why, step back and take an objective look at your process, focus, climate, and flow. It may take just a few tweaks, or an overhaul. 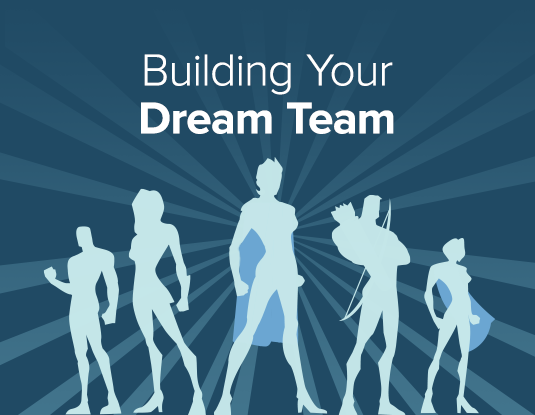 But by improving these four things, you can transform your workgroup into the team of your dreams—where everyone wins. Based on The 4 Secrets Behind Teams That Work Together So Well That Everyone Else Is Jealous, by Jo Eismont.